Afternoon Tea, my long-lost love. How i've missed you. Is it me or has this idyllic event fallen out of favor? 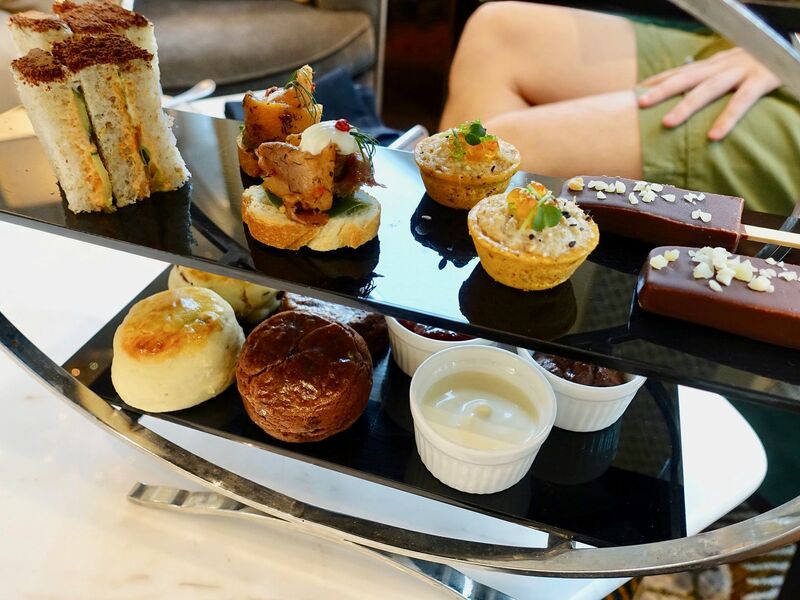 Whatever the case, InterContinental Singapore's new Afternoon Tea: Checkmate will make you fall in love again. 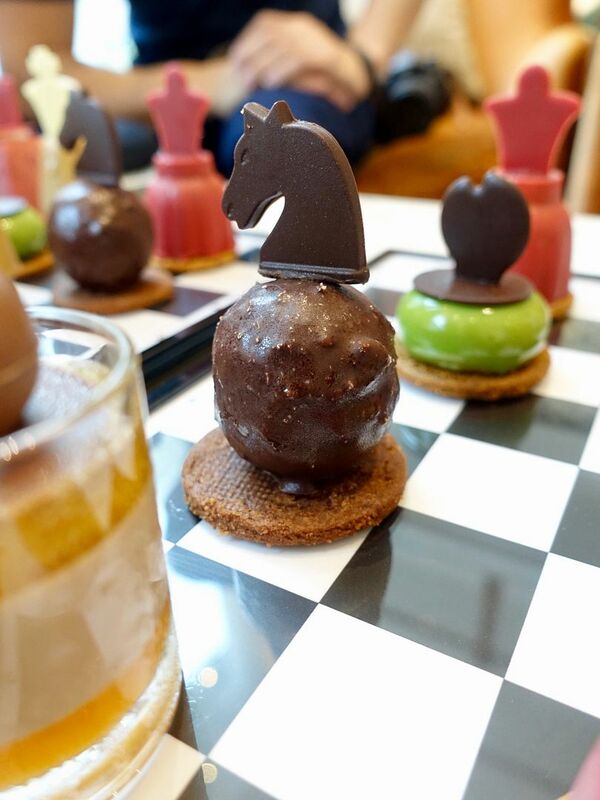 From now to 31 January 2019, the Lobby Lounge at the hotel will showcase Pastry Chef Ben Goh's collaboration with world-renowned premium chocolate manufacturer Valrhona’s Master Pastry Chef Brice Konan- Ferrand's chess-inspired chocolate-based desserts, alongside some savory bites. 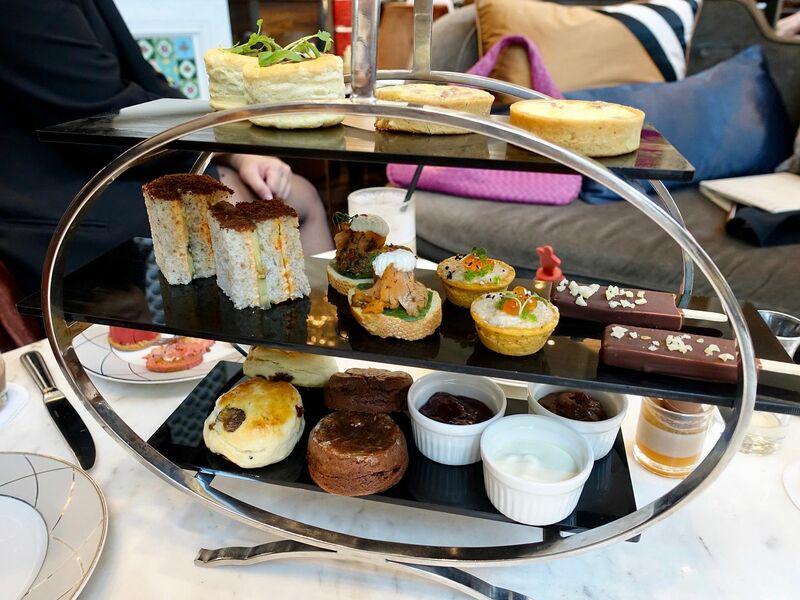 The set is priced at $88 for two persons, inclusive of a fine selection of loose-leaf teas and coffee. You can indulge with a half-bottle Taittinger Brut Champagne (375ml), along with everything else at $138/set. I'm a traditionalist when it comes to tea and was surprised that we were served sweets first as Chef Ben wanted to focus on the sweets in the afternoon tea set. However, you can always request for a change in order of presentation, or to have both served at the same time (which i recommend). 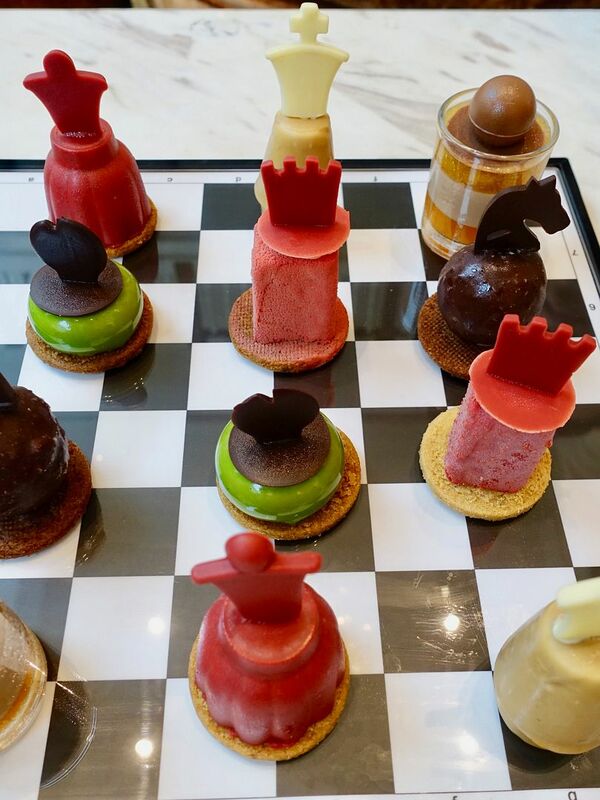 3 of the chess desserts are created by Chef Ben- The King, Pawn, and Bishop, while Chef Brice created the Queen, Rook, and Knight. I love an intense chocolate dessert and “The Knight” satisfies with the use of Sakanti Bali Cuvée 68% dark chocolate namelaka, coconut dacquoise, dark chocolate streusel and whipped Opalys white chocolate ganache. The chocolate Sakanti Bali Cuvée 68% dark chocolate namelaka is crafted from Valrhona’s first Asian cocoa plantation and i love the coconut fragrance which comes out as you chew on the flakes. 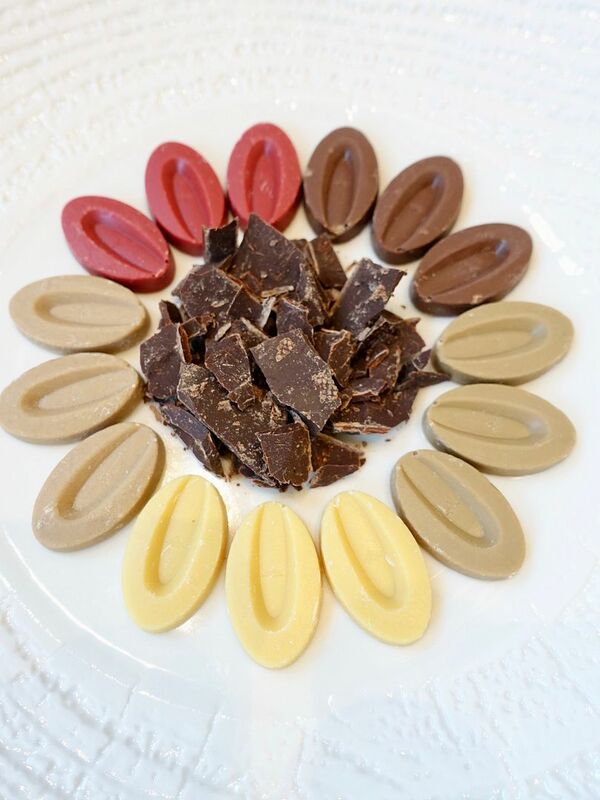 Don't worry about a chocolate overload as the rest of the chess pieces all have surprising twists. 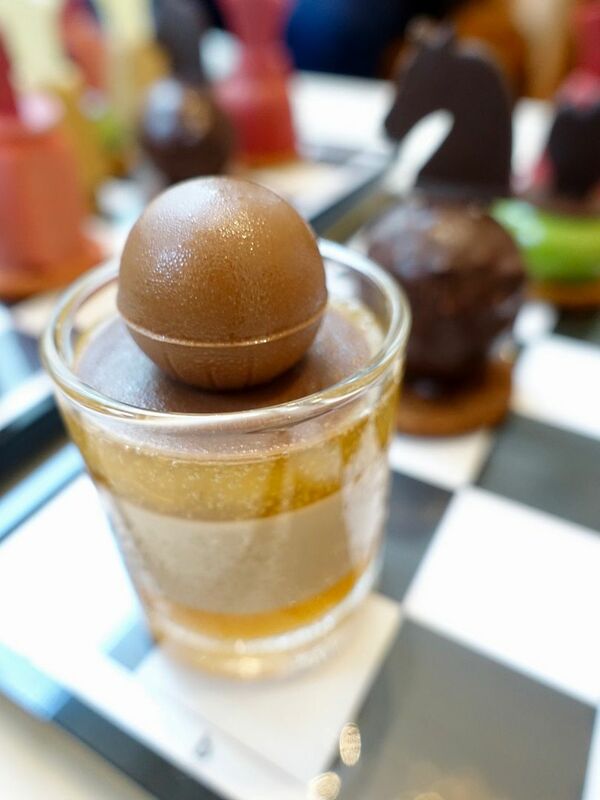 “The Bishop”, a Valrhona Kidavoa chocolate mousse has lime cremeux that balances the milk chocolate. I also enjoyed the crunchy base in this one. Defying the stereotype of a sweet white chocolate dessert, “The King”, is a whipped Valrhona Orelys blond chocolate ganache that is infused with licorice, pear confit and cinnamon sponge. It's the best pear confit i've had as it managed to retain the freshness and natural sweetness of the fruit. Plus i was thankful that it only had a mere hint of licorice. 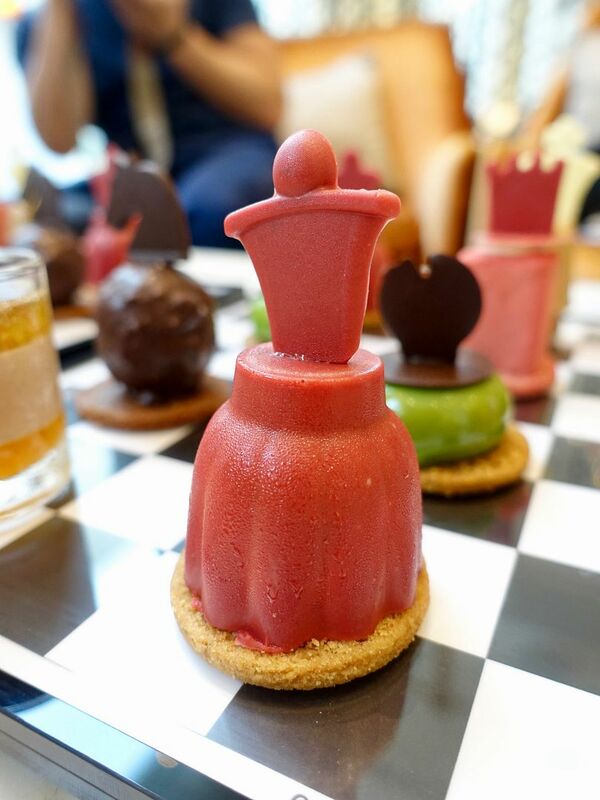 I found much similarity in the Queen and the Rook, though they are made of Valrhona Passionfruit Inspiration, and Valrhona Strawberry Inspiration respectively. Both are great desserts with balance sweet and tangy flavors. If i have to pick one, the Rook takes the cake with the advantage of a salty caramel sable base. The strawberry meringue mousse also reminded me of the Chinese hawthorne. 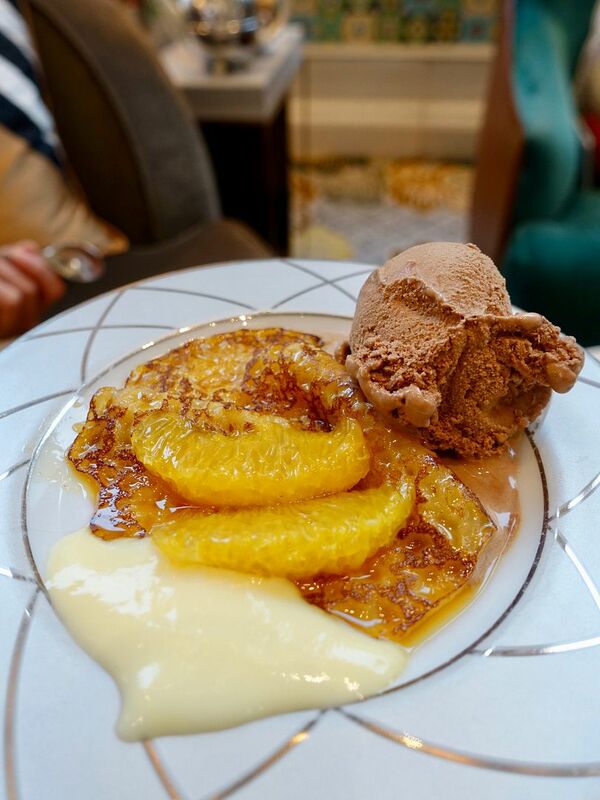 If the sweets aren't enough, there's also a ‘live’ station where you can enjoy unlimited servings of à la minute crêpes paired with Jivara milk chocolate ice cream and Guanaja sherbet. We were stuffed but the crepes were fluffy and small enough for us to sneak into the meal. On the savories, they were all satisfying in terms of flavors, but we wished for a wider variety (we understand that the menu could have been tweaked after the launch). 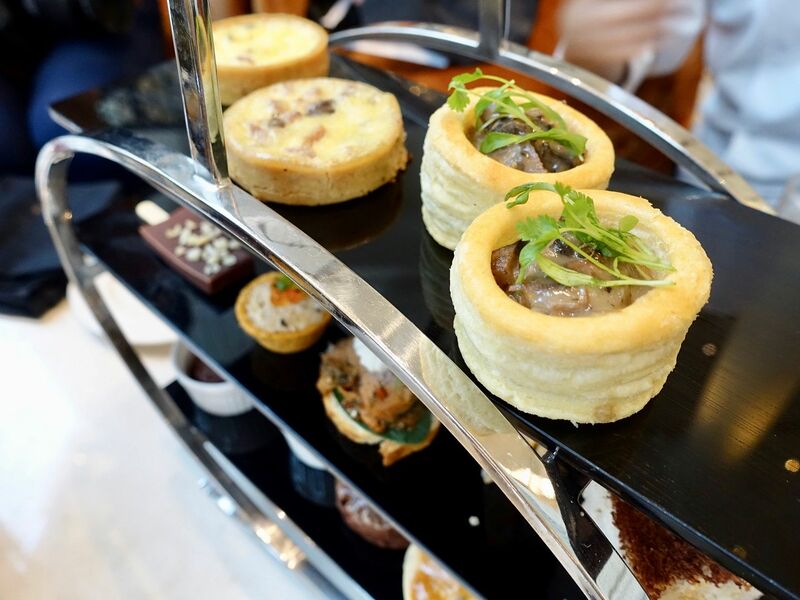 Our favorites were the earthy mushroom and duck confit on a super airy vol-au-vent puff. If only there were more! The refreshing crab tartlet had salty pops of wasabi tobiko and ikura, which were nicely complemented with the herby basil tomato tart. I love my tarts and so the turkey ham and chestnut quiche was also another hit with me because it was so buttery. Something special in the savories section is the foie gras magnum coated with chocolate and almond. Yes it is very rich (in the foie gras sense) and while it is lovely (i thought the bitter-sweetness of the chocolate paired well with the foie gras paste), we only managed to share a stick between the two of us. There are actually more sweets on the savory tiers, and they are the scones. 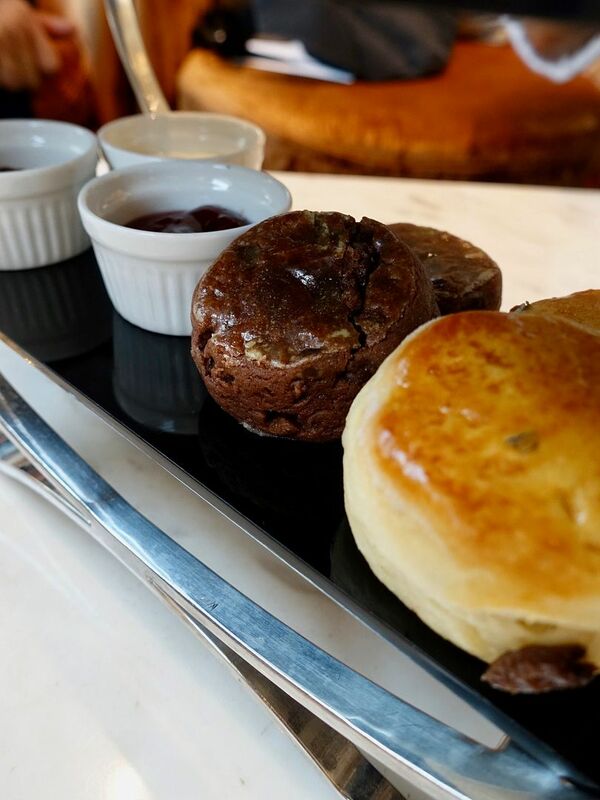 These scones were like fluffy butter cake, The chocolate scone was actually a brownie in disguise but i loved it. It's probably the most chocolatey item in the tea set. The scones were lovely with the tart chocolate mango mousse, creamy thick clotted cream and raspberry jam. If you love your sweets, i must say that Chef Ben's creations have never once failed to excite my sweet tooth. I believe some tweaks have been made to the afternoon menu to balance out the sweetness so don't worry.